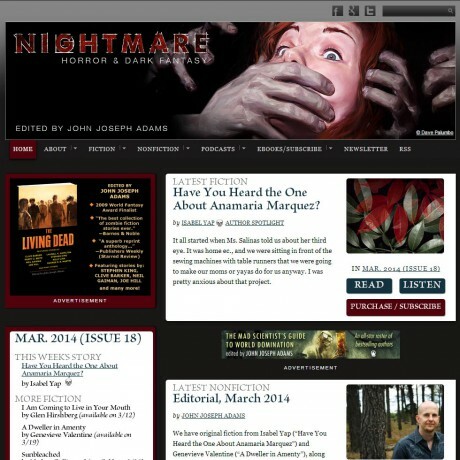 When John Joseph Adams made the decision to launch Nightmare Magazine, Clockpunk Studios was there from the start to leverage code and technology developed for Lightspeed Magazine into a new magazine. A thorough reskinning was undertaken, as well as enhancements made to the baseline code for both magazines. The end result was a stunning magazine of the horrific.